Find the best Android phone for photographers, budget-minders and more. Choosing the best Android phone for you is a big decision. 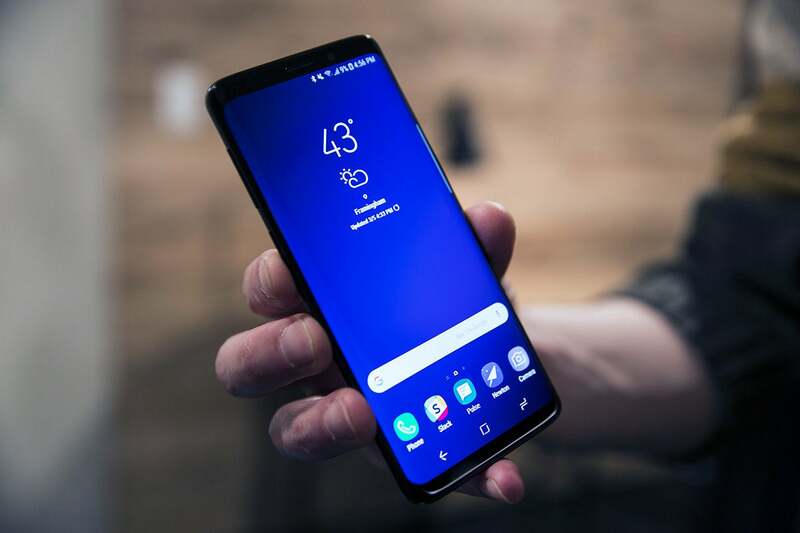 The Android universe teems with options, from super-expensive flagship phones, to affordable models that make a few calculated compromises, to models expressly designed for, say, great photography. Chances are that whichever phone you buy, you’ll keep it for at least two years. So we’ve made picks for the best Android phone in categories spanning a variety of needs. Check out our summary list below, or keep reading for the details on each one. At the bottom of this article, we also list all our recent Android phone reviews—in case you have your eye on a model that didn’t make our cut. The Galaxy S9 isn’t the visual or engineering marvel that the Galaxy S8 was, but even with a recycled design, a similar camera, and the same screen, it’s still the best phone you can buy. At $720, it’s actually a few dollars cheaper than the S8 was last year, and you get the latest processor and a couple of fun new features. Our biggest complaint with the S8 (our only one, really) was the placement of the fingerprint sensor. For whatever reason, Samsung decided to put it next to the camera rather than below it, which ensured missed readings and excessive fingerprints on the lens. The S9 thankfully rights this wrong, putting the sensor in a much more logical position below the camera. Speaking of the camera, the S9 has the same 12MP sensor as the S8, but Samsung has made a series of small, meaningful changes to what was already a great system. While it doesn’t have a second camera like the S9+, it does have a dual-aperture feature that switches between f/1.5 and f/2.4. There’s also a Super Slo-mo setting that records up to 960fps with motion detection so you won’t miss a trick. Without a dual camera, you won’t get true portrait shots, but Samsung’s selective focus does a fine job of mimicking the effect. Granted, if you just got a new phone last year, the S9 probably isn’t worth it (unless you’re on an upgrade plan). But if your S7-era handset is looking a little worse for wear and you don’t need a 6-inch screen, this is the phone to buy. Huawei isn’t the world’s No. 2 phone maker for nothing. The Mate 10 Pro is more than a good phone from a Chinese manufacturer—it’s one of the best handsets of the year. 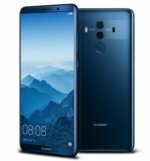 Because we already know the tri-camera P20 won’t be making landfall in the U.S., the Mate 10 Pro is Huawei’s only North America model. However, while AT&T and T-Mobile customers will be able to use it, Verizon and Sprint subscribers are out of luck, as it’s GSM-only. However, if you fit the carrier criteria, the Mate 10 Pro will be a fantastic phone. With a 6-inch Full HD 1080x2160 screen, AI-infused camera, and custom chip, the Mate 10 Pro is a fantastic phone that can stand shoulder-to-shoulder with the Galaxy S9 and Pixel 2 XL. The original Google Pixel produces amazing images, but the Pixel 2 takes photography to a whole new level. Its camera is the best in an Android phone this year, and it’s also raised the bar for the entire smartphone industry. As always, however, specs don’t tell the whole story. For one, optical image stabilization makes a huge difference in both low-light situation and motion pics, but what’s most impressive is what Google is doing behind the scenes. In the Pixel 2, Google is using its AI and machine-learning engines to amplify its image processing prowess, and the results are simply stellar. For example, even without a second camera, the Pixel 2 phones take some of the best portraits this side of an DSLR, even besting Apple’s iPhone X. The best part might be that both the Pixel 2 and Pixel 2 XL have the exact same camera. That means the smaller and less expensive Pixel phone doesn’t give up anything to the larger one when it comes to the photography—it even has the Pixel Visual Core image processing chip that Google just turned on in the Android 8.1 update. So no matter what kind of photographer you are, the Pixel 2 is the phone that needs to be in your pocket. This space has been occupied by the latest Galaxy Note for the past few years, but its excessive price tag is too much to bear this year. For more than $100 less than the Note 9, you can get a phone with the same storage (128GB), RAM (6GB), processor (Snapdragon 845), and camera (dual 12MP), and you’re not giving up too much elsewhere. The S9+ has a 6.2-inch screen versus the Note 9’s 6.4 inch one, and a slightly smaller battery (3,500mAh vs 4,000mAh). That’s pretty much it as far as differences go, save for the lack of an S-Pen. The screen on the S9+ is gorgeous, the fingerprint sensor has been moved to a more logical location below the camera, and the dual camera (a step-up feature from the smaller S9) is one of the best you can buy. You’ll get an assortment of fun and professional features—adjustable Dual Aperture (f/1.5 to f/2.4) for excellent low-light photos, Super Slo-mo mode, Live Focus, AR Emoji—that will make your photos and videos pop like never before. 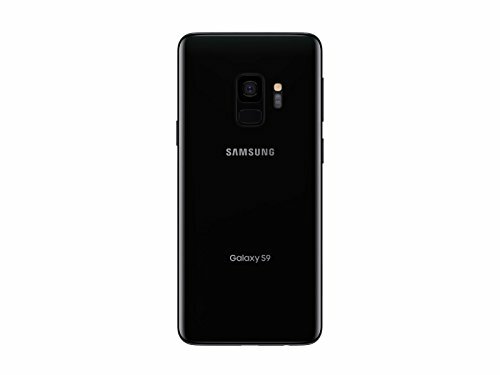 Pocketable, powerful, and long-lasting, the Galaxy S9+ is Samsung’s sweet spot for 2018, offering top-of-the-line specs without completely breaking the bank. If you want pure power and performance, the Galaxy Note 9 is the best Android phone you can buy, but it's expensive and not very exciting. Samsung’s Galaxy Note has always been an expensive phone, but this year’s model has pushed it into the stratosphere. 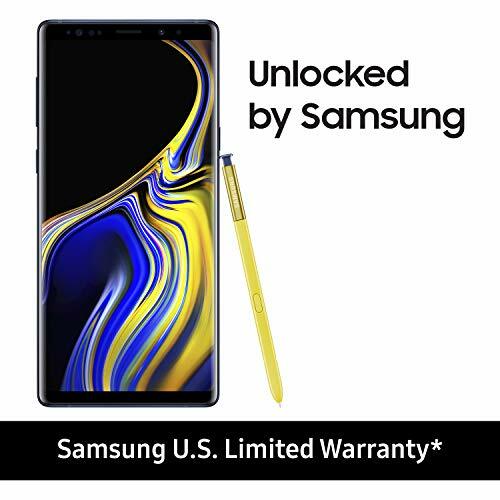 Starting at $1,000 and topping off at $1,250, the Note 9 represents the very best of Android, but you’re going to pay for it. There’s no 64GB option for the Note 9, so your $1,000 will get you 128GB, a Snapdragon 845 processor, 6 GB of RAM, and a dual 12MP camera. If those specs sound familiar, it’s probably because you just read them in the Galaxy S9+ entry above. The two phones are extremely similar, thought the 6.4-inch Note 9 has squarer edges and taller body. The big change this year is the S Pen, which is now Bluetooth powered. You can still use it as before to take notes, translate text, and circle screenshots, but it’s also a remote control now, so you can take pictures and advance slides by pressing a button on the side. The battery life is short, but it charges incredibly fast, taking about 40 seconds to go from 0 percent to full. So if you’re a Note lover, have a thousand dollars to spend, and absolutely have to have the most powerful and feature-packed Android phone ever made, then get a Note 9. Otherwise, the S9+ is cheaper and just as good. The Moto G5 Plus does everything it should at this price, and then some. It’s perfect for teens or those who don’t want to spend a fortune on a smartphone. There was a time when the words “budget” and “Android” conjured images of disposable, plastic phones with small screens. 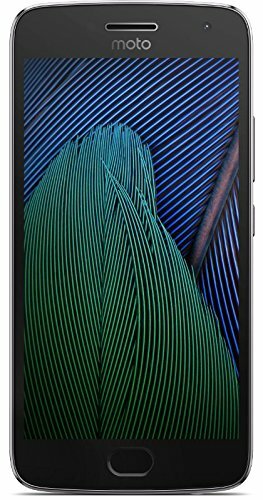 The Moto G5 Plus punches way above its weight with a quality 5.2-inch 1080p display, metal body, fingerprint sensor, and a very decent camera for its price. For $230 you get 32GB of storage and 2GB of RAM with a Snapdragon 625 processor, or for $300 you can bump that up to 4GB of RAM and 64GB of storage. It’s also fully 4G LTE compatible on all four major U.S. carriers—something that few budget phones can claim. The phone has its drawbacks, including a lack of NFC. Also, the camera is just adequate—it doesn’t hold up against top-end phones. As a complete package, though, the build quality, specs, performance, battery life, and software experience here is way better than what we’re used to seeing in the $200-$300 price range. While the Moto G5 Plus offers a fantastic near-stock Android skin, there’s no guarantee that you’ll be getting updates this time next year. With the Nokia 6.1 you will, and that makes it a budget phone well worth considering. 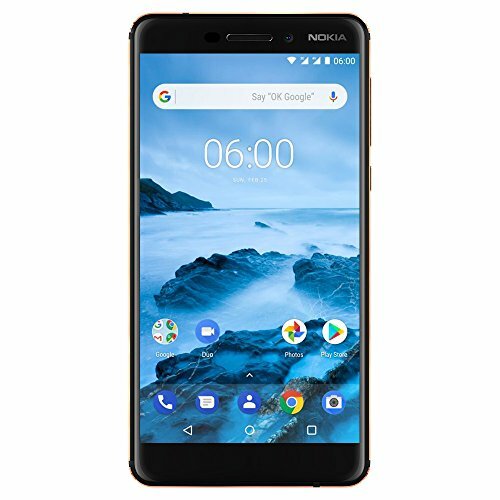 The specs of the 5.5-inch Nokia 6.1 are fairly average for a phone in this price point: Snapdragon 630 processor, 4GB of RAM, 3,000mAh battery, and a 16 MP f/2.0 main camera, However, Nokia offers something its competitors don’t: Android One. That means you’re getting a near-stock version of Android, without a single extra app or UI tweak, plus a guarantee of three years of security updates and two years of version upgrades. That’s Android P and Android Q, a promise other phones in this price range simply can’t deliver. While Nokia doesn’t make any guarantees on the speed of the updates, Android One means the company works directly with Google to ensure they’re delivered in a timely manner. And they’ll definitely arrive quicker than with other phones in this range. For example, the Moto G5 Plus is still waiting for its Oreo update, nearly 10 months after it released. Unfortunately the usual GSM caveats apply here, so Verizon and Sprint customers are out of luck. But AT&T and T-Mobile subscribers looking for the pure Android experience should give Nokia a long, hard look. OK, it’s getting to the point where this category should just be Most recent OnePlus release. 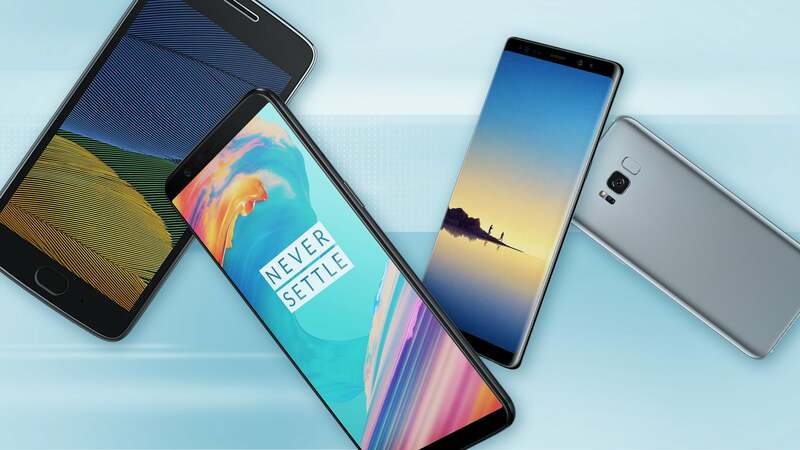 For years, the company’s handsets have dominated the value category, with premium specs and design for hundreds less than its competitors. And the OnePlus 6 only widens the gap. Its predecessor, the OnePlus 5T, introduced a 6-inch, 18:9 OLED display with a slim-bezel design and no home button, and the 6 continues on that vein, upping the display size to 6.25 inches and adding a notch at the top of the screen to cur down on the footprint even more. The result is one of the largest Android phones this side of the Note 8 in a package that’s still very holdable. With a Snapdragon 846 processor, 6GB of RAM, and a 3,300mAh battery, the OnePlus 6 is just as beautiful on the inside. It runs a delightfully minimal version of Android Oreo complete wit gesture-based navigation, and is packed with little features that enhance the experience. The camera still isn’t as good as its competitors such as the S9 or the Pixel 2 XL, but it keeps getting better. This year’s model brings optical image stabilization to its 16MP/20MP dual-camera array, and the results are much improved with low-light and motion shots. But the best part of the OnePlus 6 is still the price. While it’s the first OnePlus phone to top $500, at $529 it’s still several hundred dollars cheaper than the Galaxy S9 and Pixel 2 XL. While most smartphones might look pretty much the same, buying one is a very personal experience. We all have unique needs, a unique budget, and personal preferences. You might need to access secure corporate email and documents with a phone that works on lots of networks around the world. Or you might spend all your time chronicling your life on Snapchat. That said, there are major features of all smartphones that you should compare before making a purchase decision. Display: A good display has a high-resolution, retina-style display (1920x1080 for smaller phones, 2650x1440 for larger phones), so even fine text is crisp and legible. Nearly every premium phone has moved into a 18:9 aspect ratio, bringing more height to the display while making it easier to hold. You’ll want a screen that accurately displays colors when looking at it from any angle. A high contrast ratio and maximum brightness will make it easier to see in bright sunlight. With excellent brightness, color-handling, and contrast, the Galaxy S9’s display might be the best in the business.